I had a five hour layover and decided to venture into town. 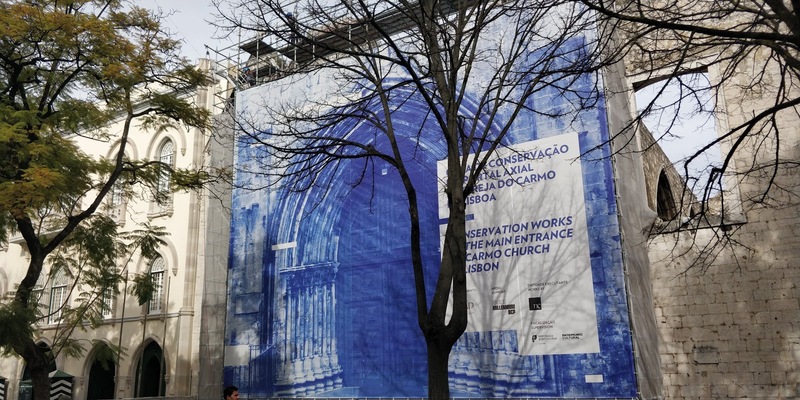 My usual point of reference for the city is the old "Carmo Convent" a beautiful construction from the outside with a surprise behind the walls. 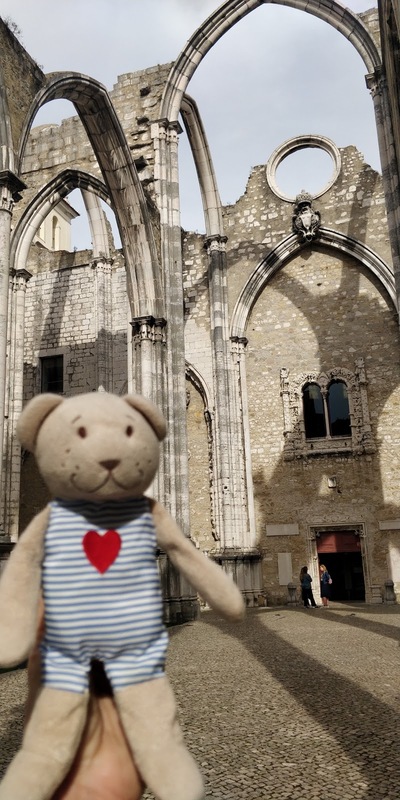 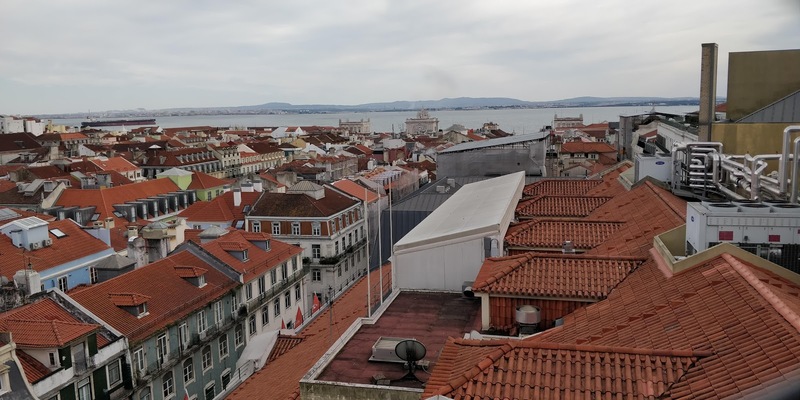 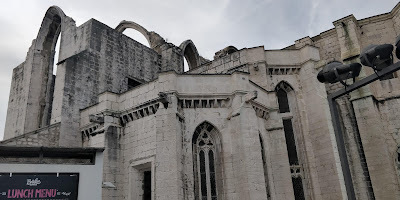 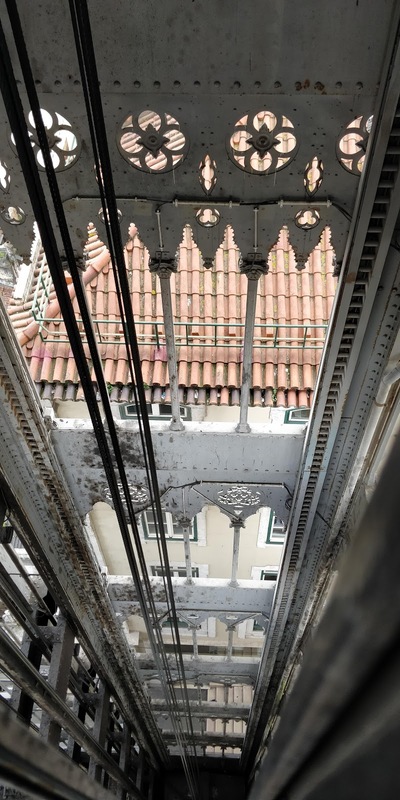 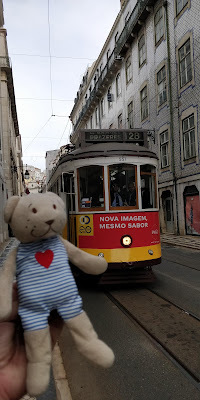 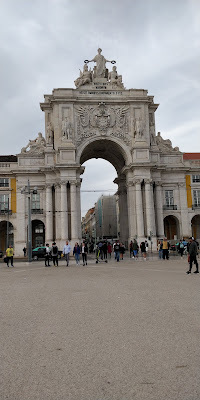 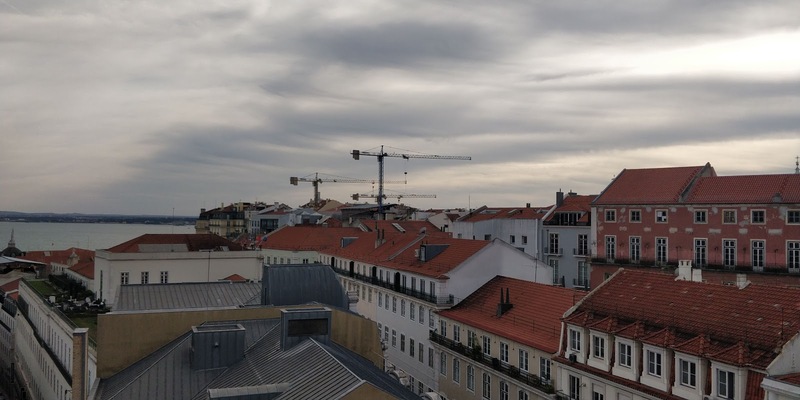 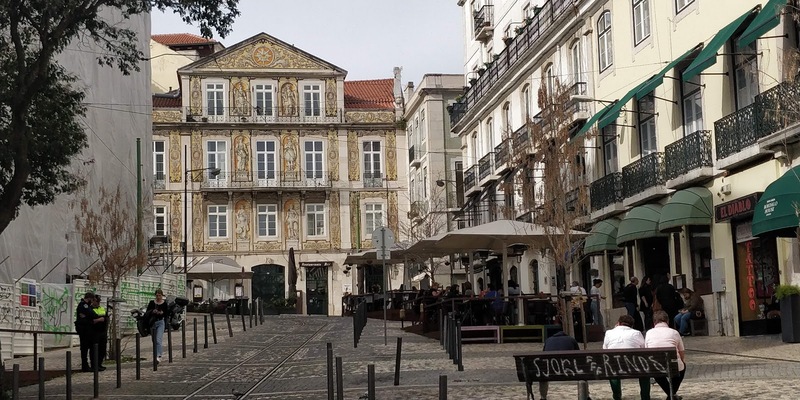 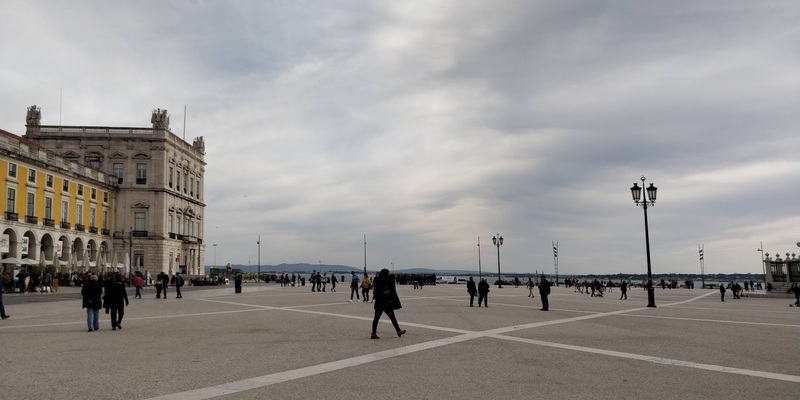 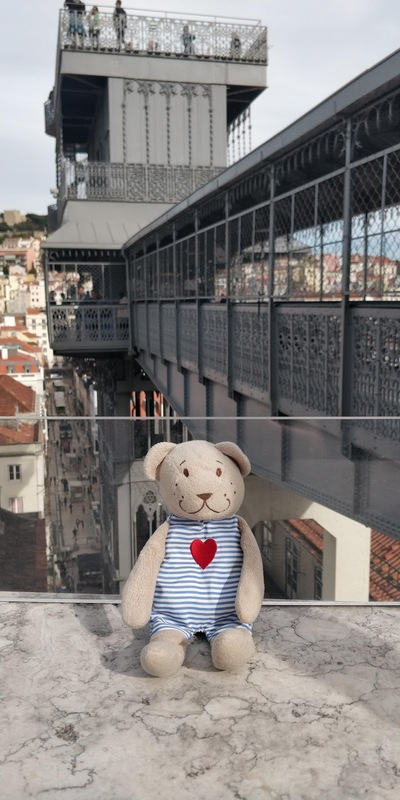 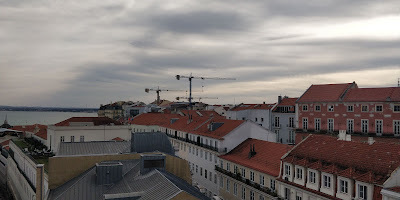 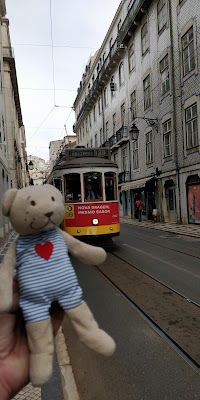 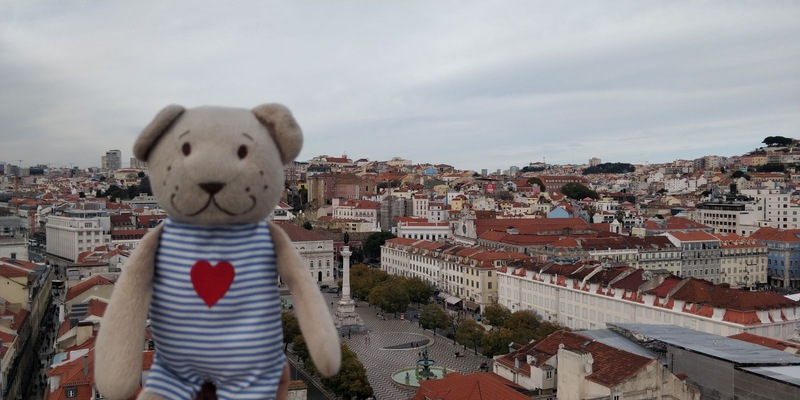 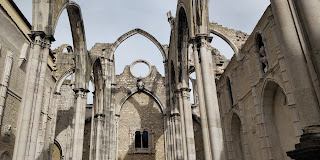 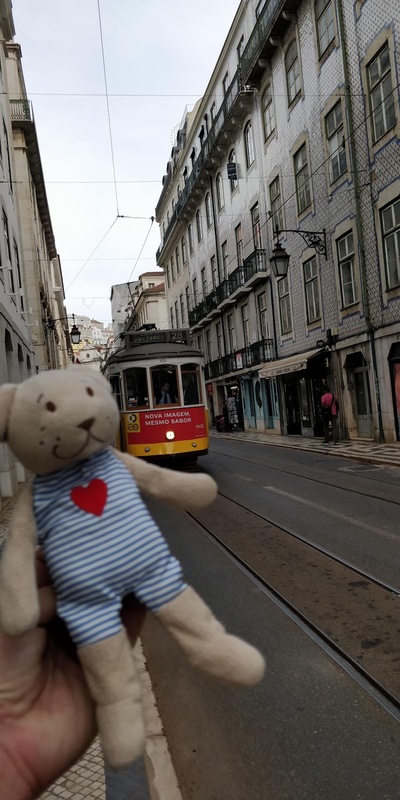 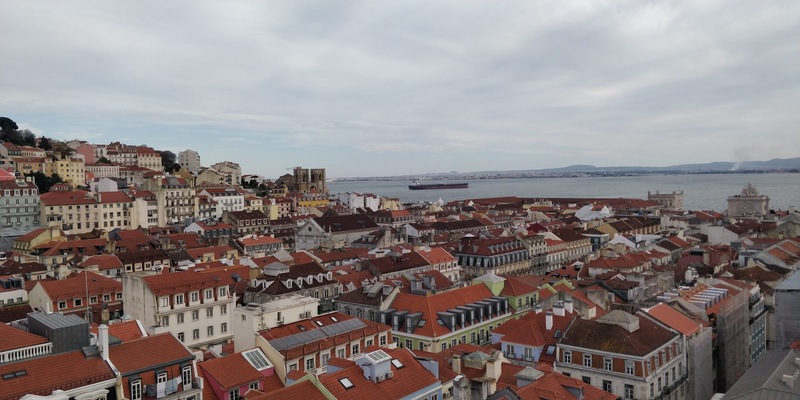 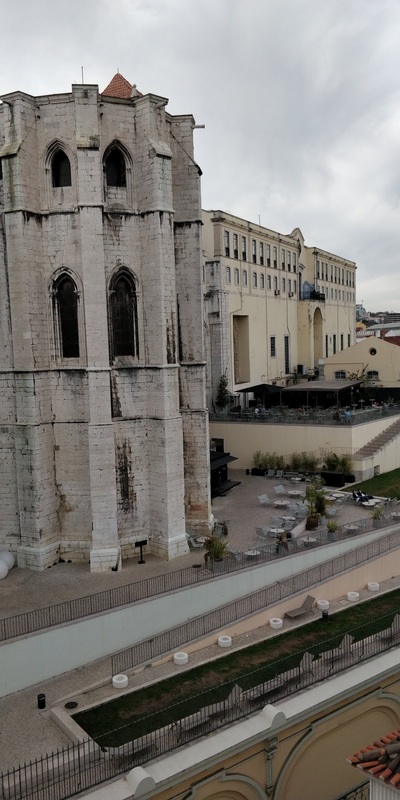 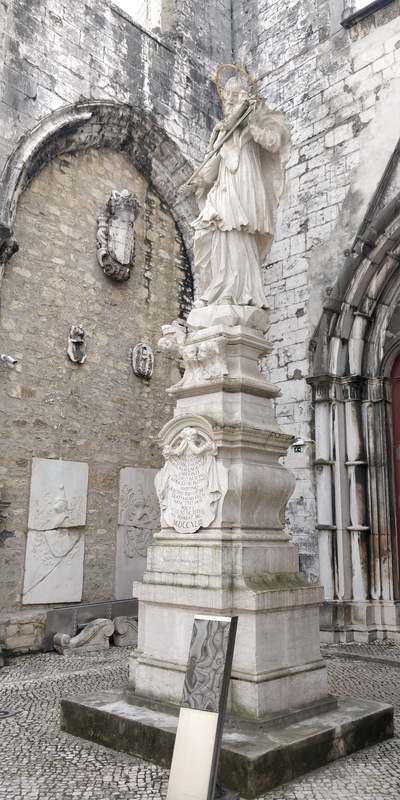 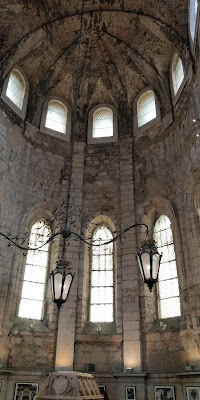 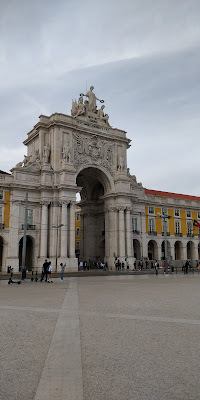 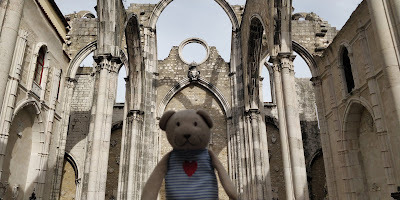 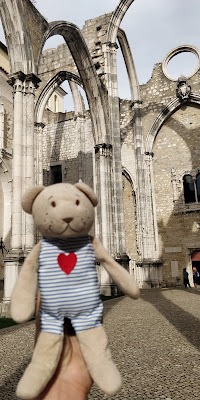 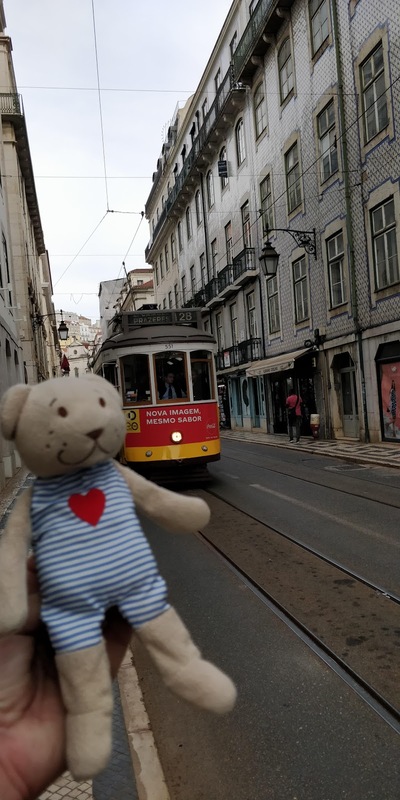 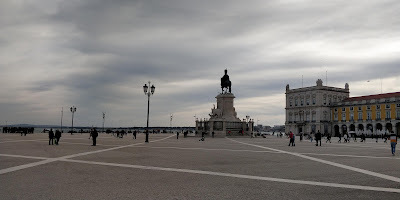 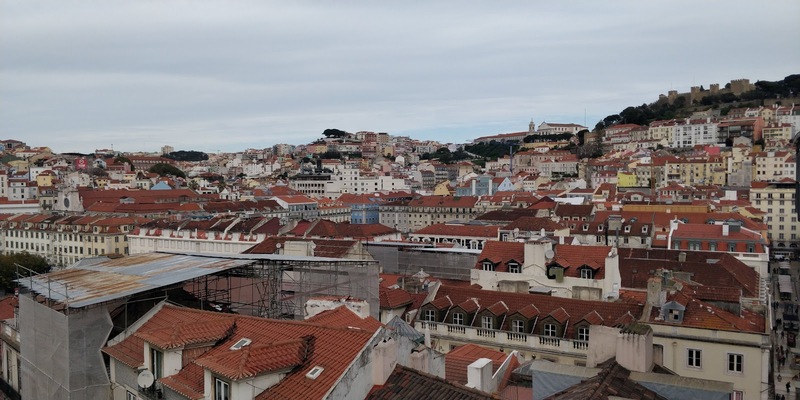 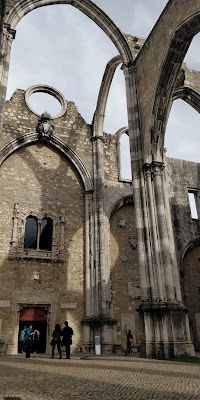 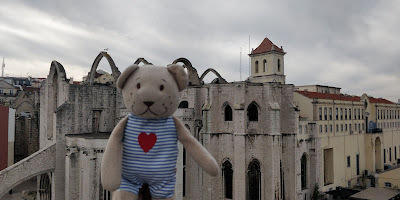 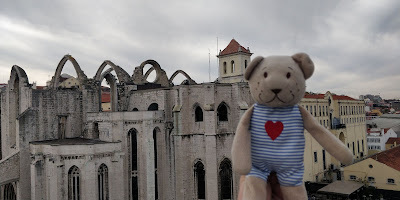 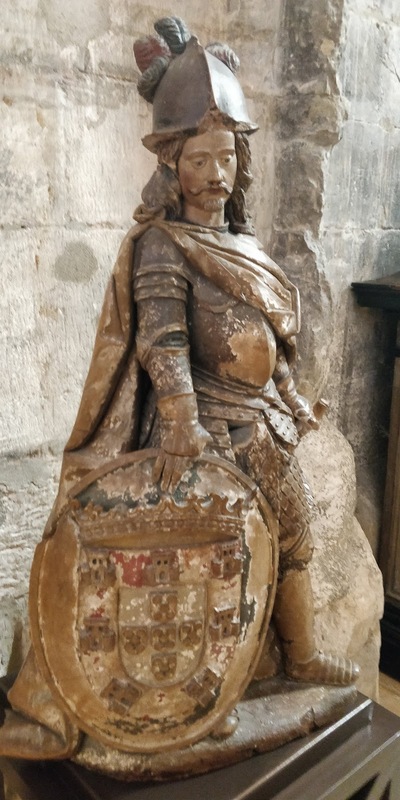 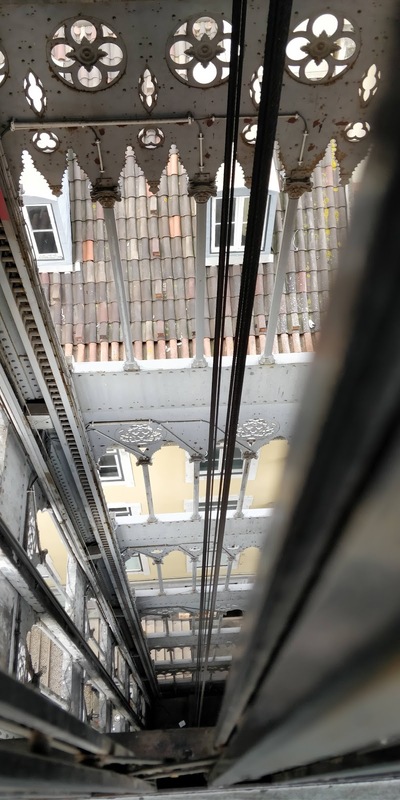 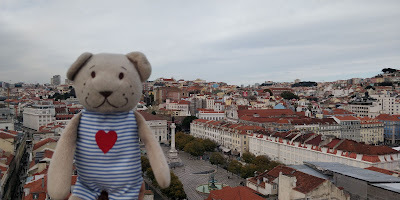 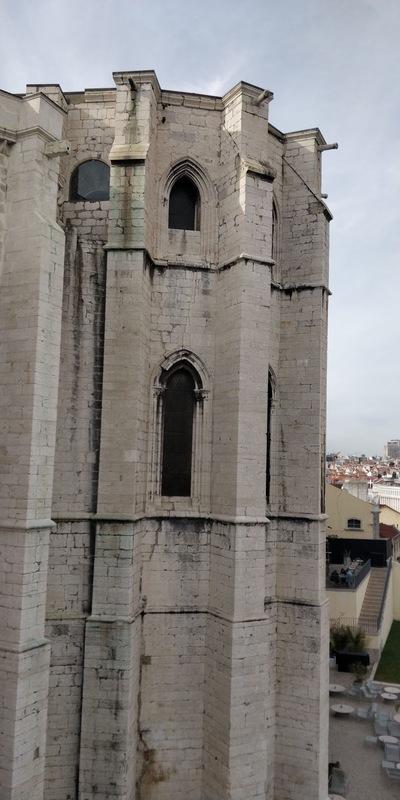 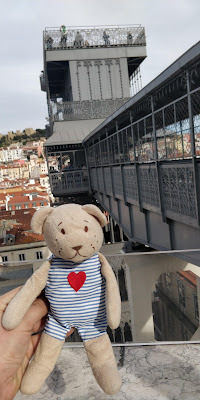 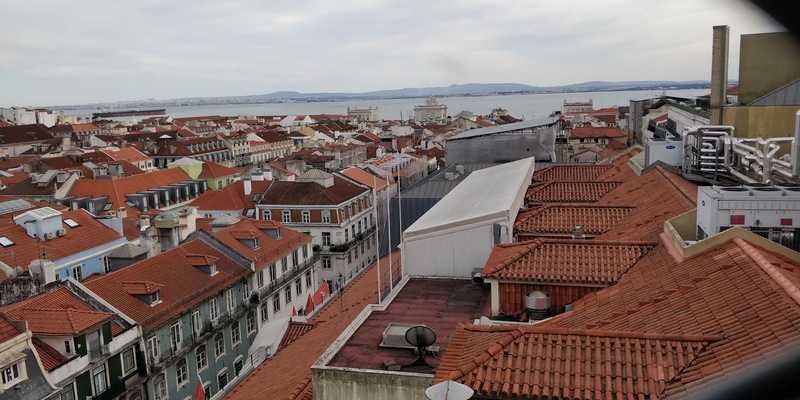 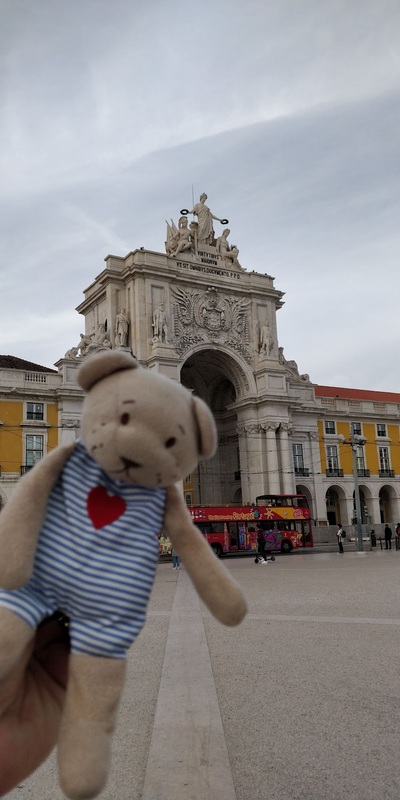 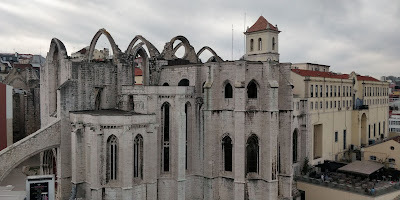 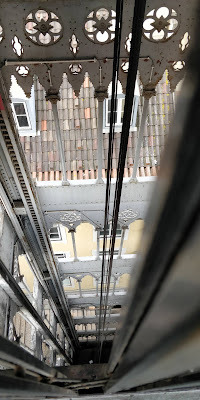 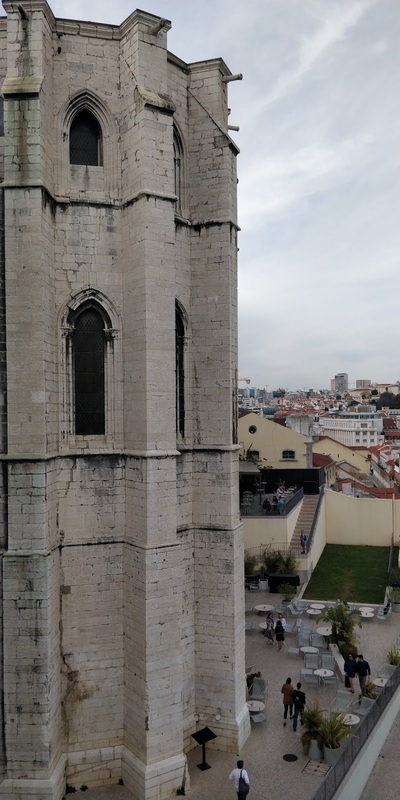 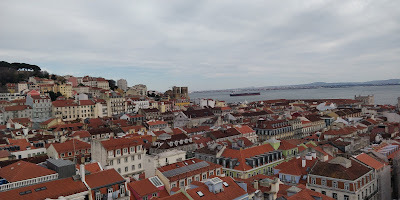 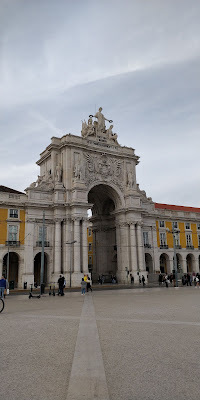 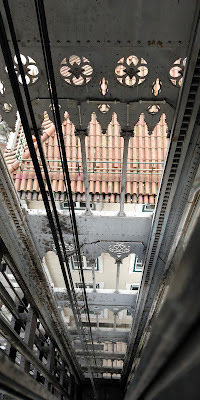 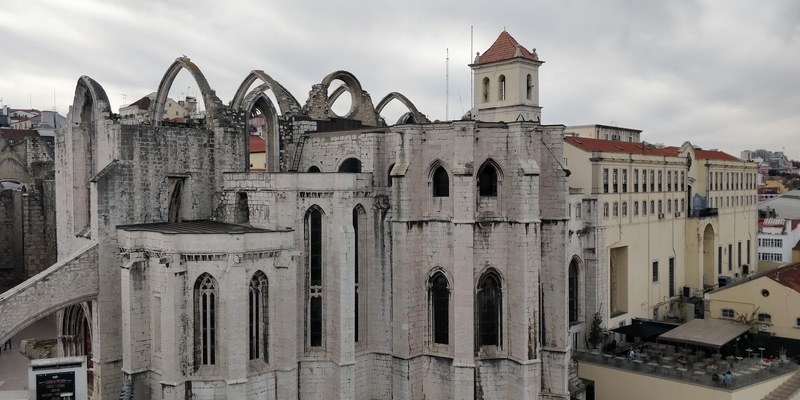 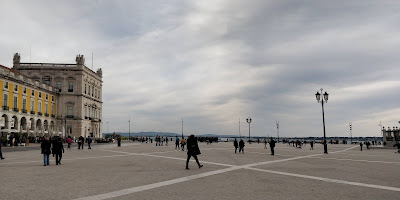 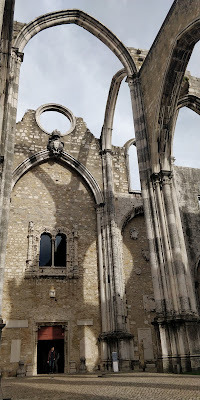 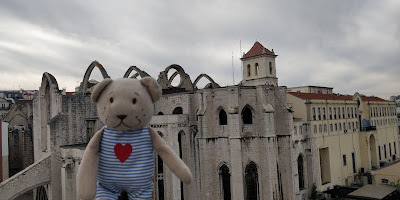 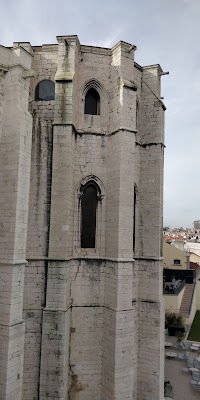 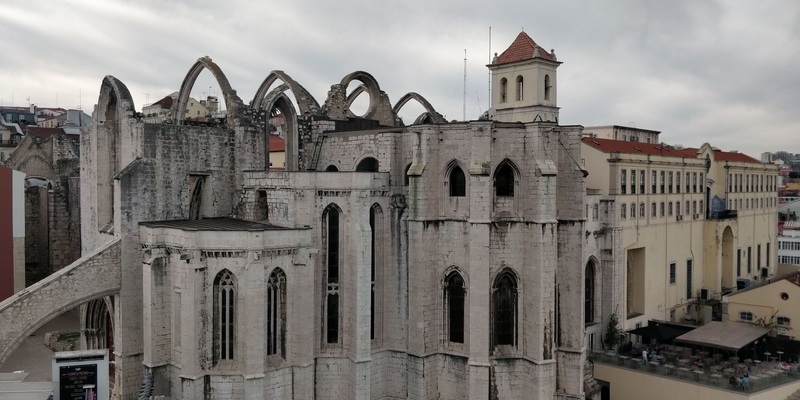 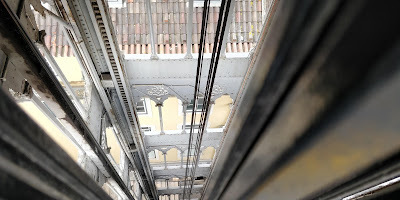 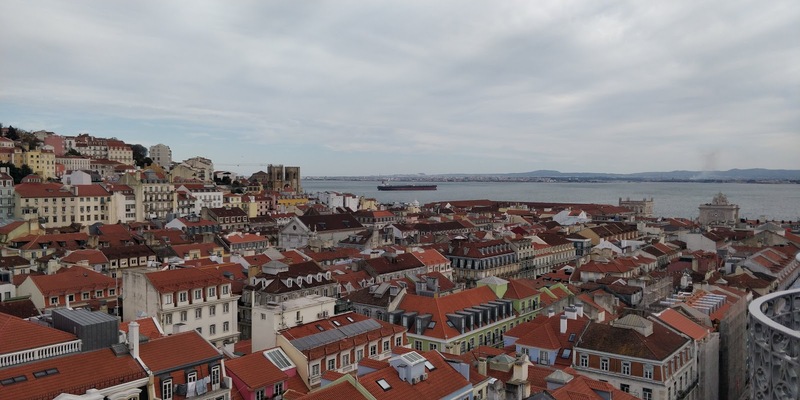 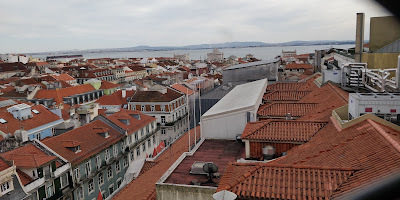 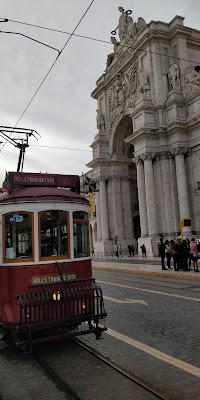 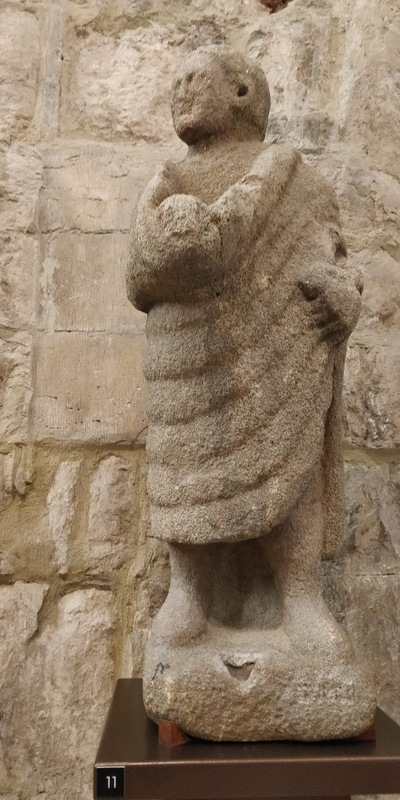 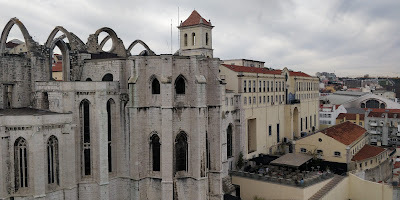 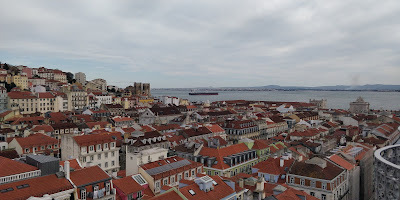 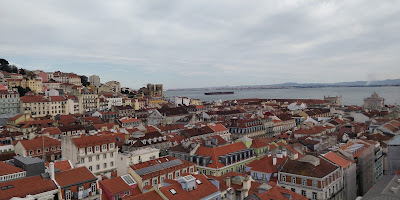 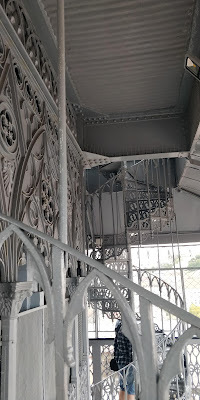 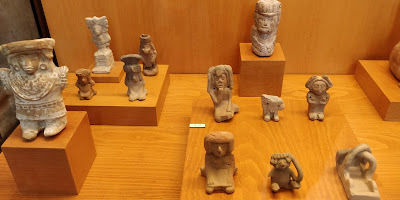 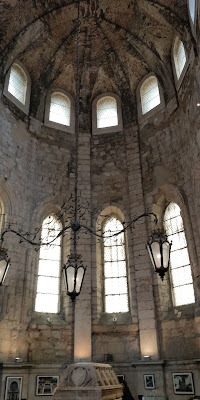 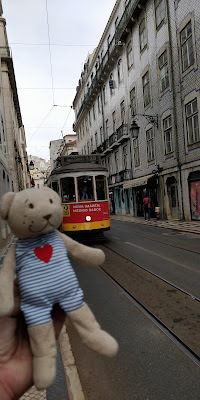 The convent was completely destroyed during the 1755 Earthquake/Tsunami/Fire which basically destroyed Lisboa and changed the Imperial ambitions of the Portuguese Empire. 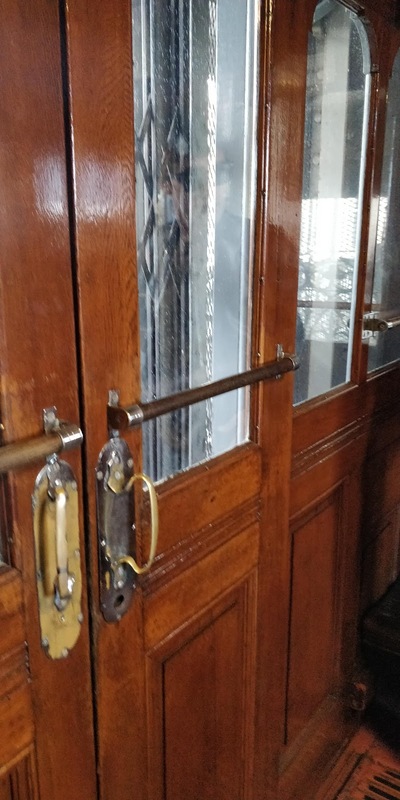 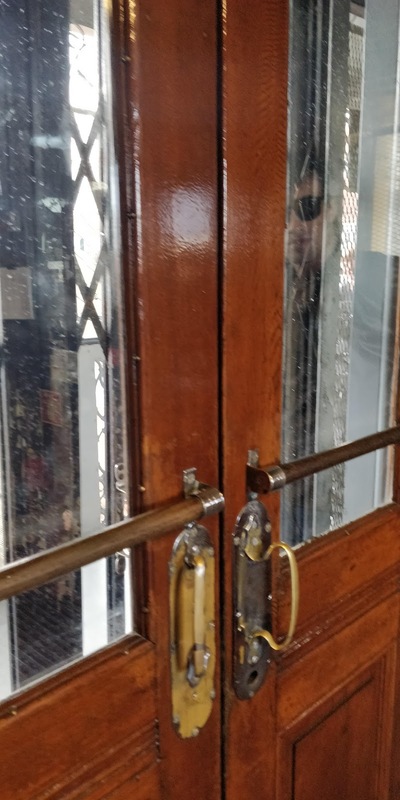 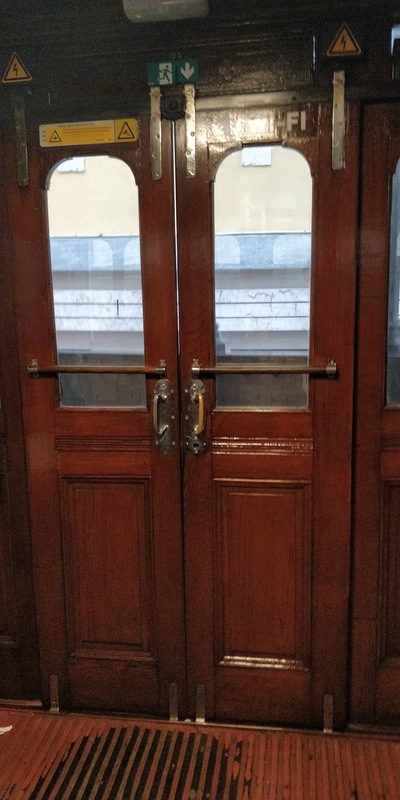 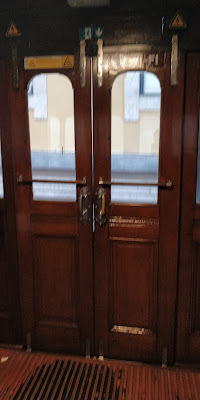 Just a few minutes away one can find the Elevator. 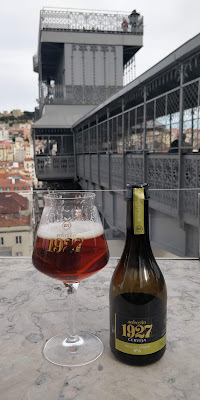 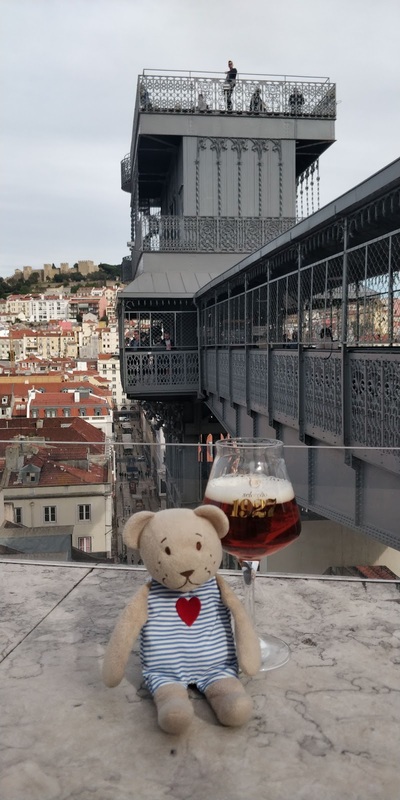 Next to it there is a cafe, where one can enjoy a cold artisan beer and great views of the (cloudy) city. 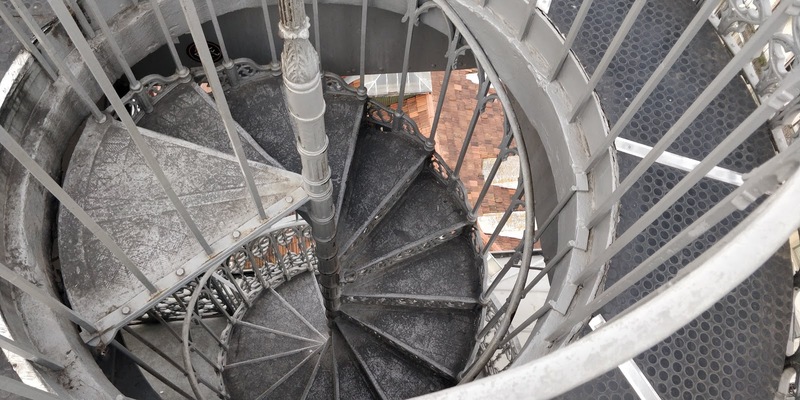 You can then descend vianthe elevator and walk to the main square. 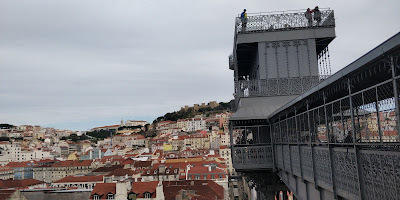 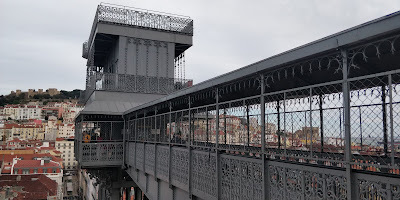 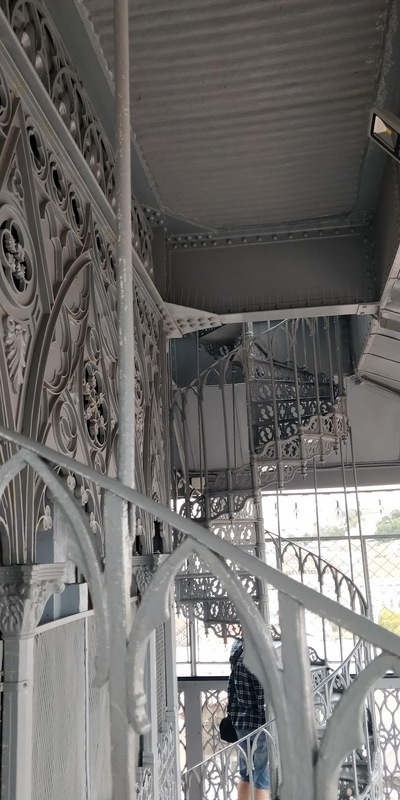 Afterwards one can head to the elevator and pay a small fee of €1.50 to climb a few stairs to an observation deck with 360° views of the city.